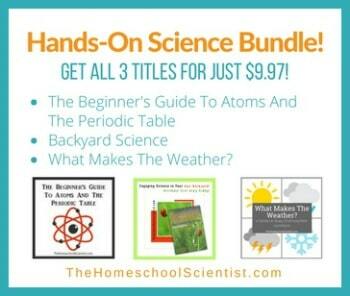 I am betting if I told these parents there was a way to have all the resources they need to make them a successful homeschool high school chemistry teacher they might change their minds. I’ve been curious about BJU science courses for a while and I recently got my hands on the BJU high school chemistry program. I thought it would consist of a textbook, a test packet, and maybe, a lab manual. It was so much more. This is virtually everything you need to be able to successfully teach your child high school level chemistry. The only thing missing is the lab supplies. The supply list for this is located in the teacher’s lab manual and complete supply kits can be ordered from various suppliers. I am a visual learner, as is the majority of students. As a visual learner, I am first drawn in by the colorful images and margin “bubbles” used in the textbook. These are great learning aides. They allow easier and/or deeper understanding of the information in the text. As far as the text, here are some features that I found as real benefits of the BJU Chemistry curriculum. One thing that really sets BJU chemistry apart is their teacher manuals for both the textbook and lab manual.. Instead of spending tons of time, energy, and stress trying to figure out how to teach, these manuals contain all the information, tips, and advice you need. I am a big proponent of lab manuals. Recording experimental procedure and observations are critical in scientific study. Teaching this helps not only obtain correct, reproducible results in your experiments, it helps with logic and reasoning skills. The BJU lab manuals guide students in the process of recording this information with questions that help them pay attention to details and be able to think critically about what they observed. BJU is a Christian publisher whose goal is to produce well-rounded students by stressing three main values in their curriculum—biblical worldview, sound education, and joy of learning. In the BJU high school chemistry curriculum, their objective is to teach chemistry in a way that delivers sound science, as well as how to view this science from a Christian Biblical worldview. If you are nervous about teaching high school science to your home educated children, take a look at BJU homeschool science. I was very impressed by the chemistry curriculum. It is comprehensive, yet set up to help homeschool parents and their children succeed. Is this something that could be taught in a co-op during 55 minute classes? Thanks! I am not a science person. My children are using BJU high school biology & DVDs program. I also bought the lab kit. They love it and I am so relaxed.